284 pages | 177 B/W Illus. 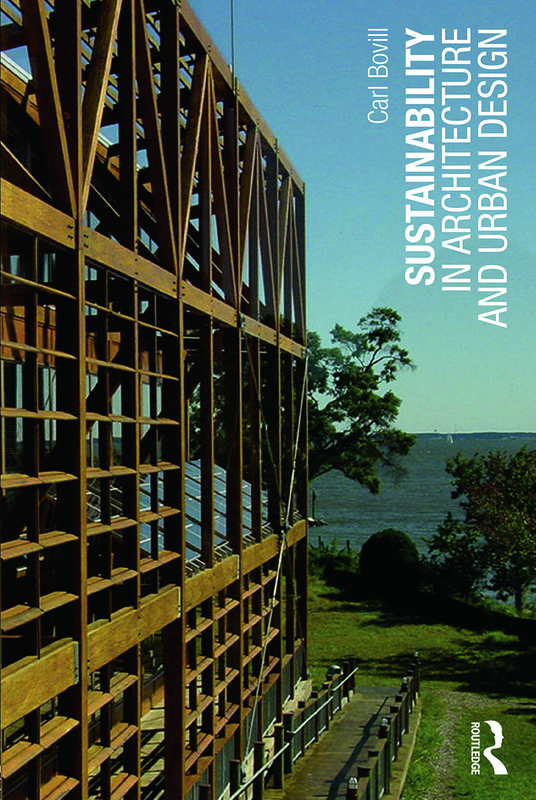 Sustainability in Architecture and Urban Design will help you understand the nature of the sustainability problem and show you how to implement your design for a sustainable future. Organized in six parts, the problem, the environment, the residential scale, the commercial scale, the urban scale, and energy sources, the book presents essential information in context, so that you get the full picture. Hundreds of drawings, sketches, charts, and diagrams illustrate points author Carl Bovill makes in his clear and direct style, which communicates the basics in a concise way. A glossary and reading lists encourage you to explore the topics further. Carl Bovill is an associate professor in the School of Architecture, Planning, and Preservation at the University of Maryland where he teaches materials, environmental controls, and sustainability. His publications include Architectural Design, Integration of Structural and Environmental Control Systems (1991) and Fractal Geometry in Architecture and Design (1996).